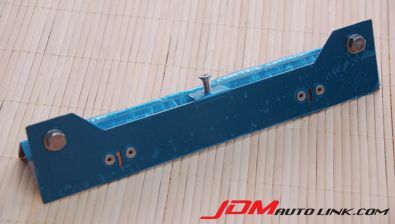 We have a brand new retractable number plate frame/bracket for the Nissan Skyline R34 GT-R (BNR34). 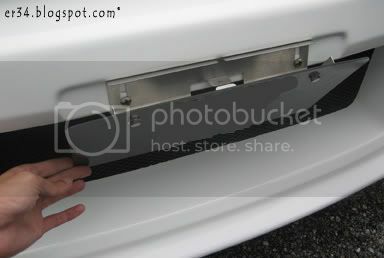 This is a frame for the number plate that retracts backwards as a result of wind force above 110km/h. 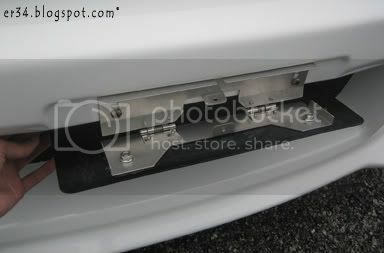 It is made of 304 grade stainless steel to withstand corrosion and all the mounting holes are as per the BNR34 bumper.